CleanBrands is introducing the first mattress encasement developed for pre-emptive use and comes with a 10 year warranty to match the life of your mattress. The CleanRest pro is waterproof, allergen impermeable and its fully breathable fabric will give maximum sleeping comfort. 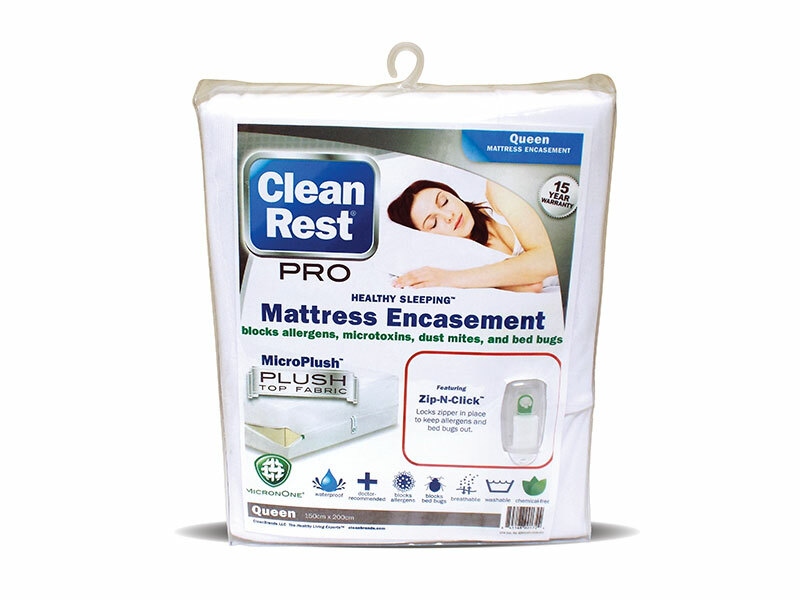 Using the CleanBrands encasement will significantly reduce your treatment costs in case of bed bugs. Its patented and independently tested closure and material will keeps beg bugs away from your mattress. Enquire for sizes and pillow options.